This appeal arises from the conviction of Michael Jackson after pleading guilty in June 2009 to one count of intent to distribute more than five grams of cocaine. Jackson was found to be a Career Offender. The district court delayed his sentencing for more than a year, anticipating Congress was about to pass a new law regarding crack cocaine sentencing guidelines. The court felt it could not wait any longer and sentenced Jackson on July 16, 2010. Jackson filed a timely notice of appeal. The Fair Sentencing Act was passed almost immediately thereafter, on August 3, 2010. At Jackson’s sentencing, the district court discussed at length the terrible disparity between the crack and powder cocaine sentencing guidelines. The district court clearly wanted Jackson to have a more fair sentence but felt its hands were tied. The district court ultimately decided to grant a 38-month downward variance from the Career Offender guideline. Jackson seeks a remand to the district court for re-sentencing in light of the recent reduction in crack cocaine sentences. The government contends no reduction should be allowed given that his sentence was based on the Career Offender guidelines and not the crack cocaine guidelines. The Sixth Circuit recognized that Jackson’s criminal history meant that the Career Offender guidelines had to be considered but held that the district court should have the opportunity to revisit the sentence in light of new crack cocaine sentencing guidelines. What appears to have happened is that the district court varied downward from the Career Offender guideline to a sentence more in lie with the what it believed was reasonable given the crack versus powder cocaine disparity. The Sixth Circuit says it believes had the revised guidelines been in place, it is clear the district court would have sentenced Jackson to a reduced sentence. Because the district court found Jackson to be a Career Offender and then sentenced him below the range for Career Offenders, noting a disagreement with crack guidelines, it is clear to the Sixth Circuit that the sentence was “based on” the crack guidelines as much as the Career Offender guidelines. … isolate whatever marginal effect the since-rejected Guideline had on the defendant’s sentence. Working backwards from this purpose, §3582(c)(2) modification proceedings should be available to permit the district court to revisit a prior sentence to whatever extent the sentencing range in question was a relevant part of the analytic framework the judge used to determine the sentence. 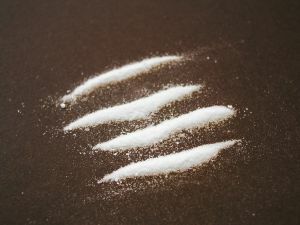 The majority held that the crack cocaine guidelines were clearly a relevant part of the analytic framework used by the district court to determine Jackson’s sentence. The Sixth Circuit was clear to take no position regarding whether Jackson’s sentence should be changed, but remanded the decision to the district court to consider the retroactive crack cocaine guidelines. Lee Davis practices law in federal court in the sixth circuit representing people in federal cases.